A well-deserved individual has been awarded a CNA scholarship from the help of myCNAjobs and Health Training Services. myCNAjobs, a leader in caregiver recruitment for home health and private duty, is pleased to announce a unique partnership with Health Training Services in San Marcos, Texas. 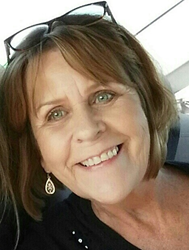 Health Training Services has waived the full cost of tuition to attend CNA classes for a deserving home health caregiver, Janice P.
Janice applied for a scholarship via the myCNAjobs Scholarship Fund http://www.mycnajobs.com/scholarship/ in February 2016 in an effort to become more knowledgeable, allowing her to better care for her elderly clients in the home. Janice currently works for Comfort Connection and is hungry to provide the best quality care. She recognizes this starts with ongoing caregiver training and education. “Janice began CNA classes last week and has been very successful learning the material," says Martin Villanueva, Health Training Services. "She's able to immediately apply her knowledge and brings a great perspective to our class considering professions in the home care space." Health Training Services plans to expand class offerings to accommodate the booming home health space and the looming caregiver shortage. “myCNAjobs shares a similar vision about the industry and we're thrilled to partner as a way to bring more education to a growing industry," adds Villanueva. To learn more, visit the myCNAjobs CNA Scholarship fund or visit Health Training Academy to learn about enrollment for the next CNA class period.